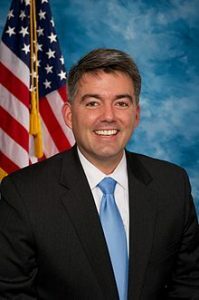 As the left’s rhetoric continued to intensify around Justice Kavanaugh’s confirmation, this weekend, Senator Cory Gardner revealed that his wife received a text message that contained a video of a bloody beheading on her personal cell phone. This was sent after Gardner’s vote to confirm Brett Kavanaugh to the Supreme Court. After that, an anonymous person published the names and addresses of Gardner family members online. No word yet if the perpetrator of this sickening act has been caught, or if there are any leads in the case. Nonetheless, not a single Democrat leader has condemned this vicious threat against the Gardner women. Will ProgressNow, so often behind twisted pranks like this, condemn the actions and, if not, will 9News continue to pay Ian Silverii, executive director, to appear on its show?